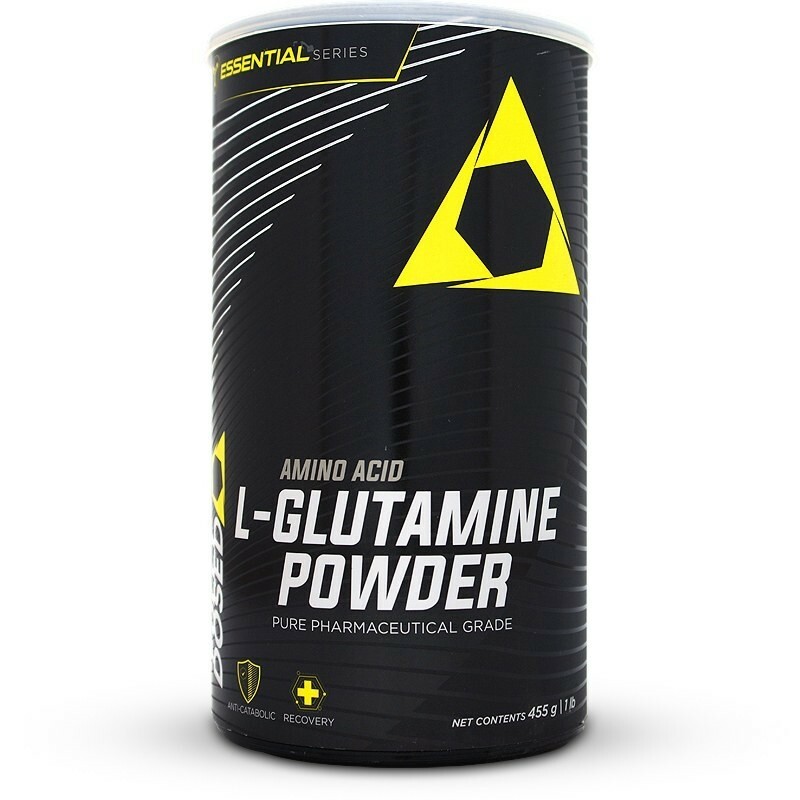 Fully Dosed L-Glutamine Powder maintains a muscle building environment and optimises recovery. Athletes and Lifters who train hard need adequate recovery to maximise their fitness goals. Glutamine is the most abundant amino acid in your muscles. Research has shown that intense training depletes glutamine levels which are necessary for recovery. Glutamine is responsible for maintaining cellular hydration and volume. Provided an athlete’s fluid intake is optimal, cellular hydration creates an anabolic environment for gaining lean muscle. As glutamine levels get depleted during intense workouts, the body may experience catabolism or muscle wastage. Glutamine has an anti-catabolic effect. Your gut or intestines play a major role in maintaining a healthy immune system. Intestinal cells prefer Glutamine as a fuel source instead of glucose. Individuals who are lactose intolerant or cannot drink protein shakes may find the combination of Glutamine and BCAAs as an alternative for their workout recovery strategy. A serving of a Whey shake provides between 12 – 16 grams of Glutamine. Two rounded teaspoons of Fully Dosed L-Glutamine Powder will give you 10 grams of pure pharmaceutical grade glutamine. • Dissolve two rounded teaspoons (approx 10 grams) in cold liquid. • Take one 10 gram serving immediately post-training, ideally with your post-workout protein or recovery shake. • Consume a 10 gram serving one to three times daily.